Thanks Cathy. We both found sunshine today! 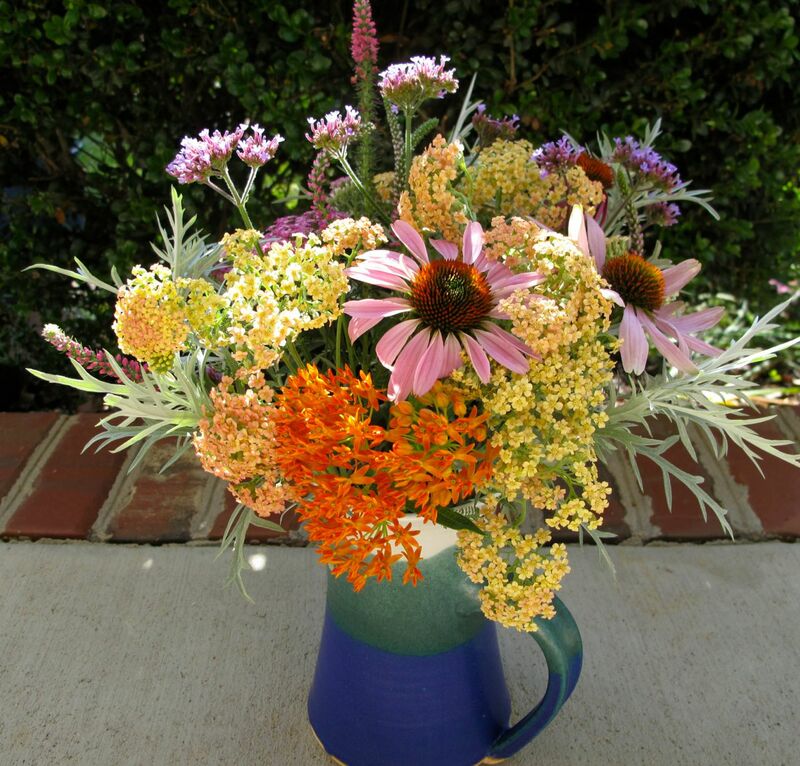 What a fun arrangement Susie, you’ve certainly captured that cottage garden feel of a mixture of colour and form, lovely! Thank you Christina. I enjoyed combining the first flowers of these plants. I love your jug, Susie. 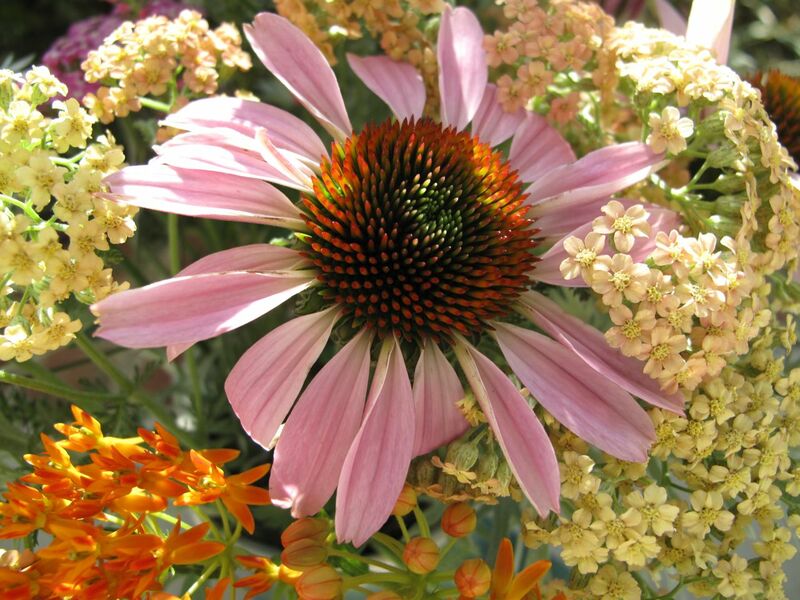 Your arrangement is lovely, you have chosen similar colours to me this week. The yarrow is such a pretty shade. You have brought a little bit of sunshine into your house. Flowers always do brighten the house don’t they? It is interesting how similar our colors were this week. Once again, a delight. Love the photos/plant material lists. 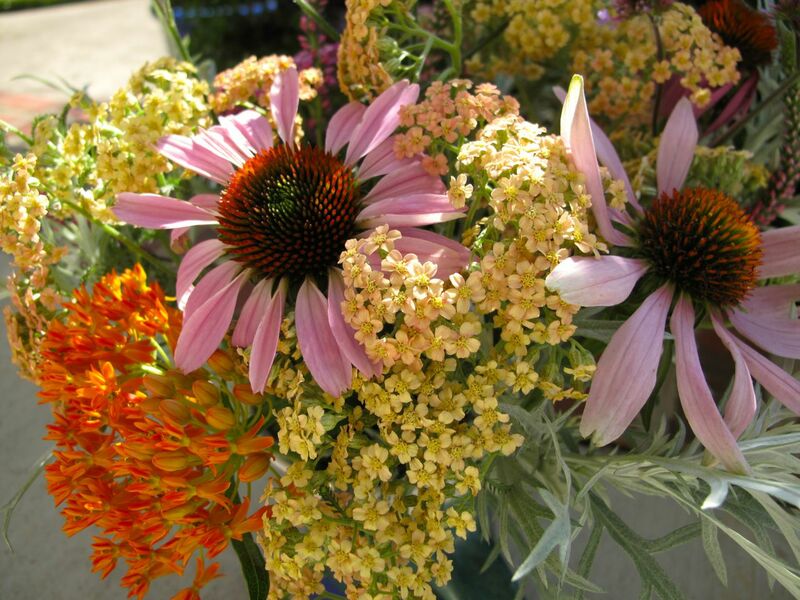 You have such wonderful things in your garden to arrange with. Thanks for sharing. Thanks Stepheny. This weekly vase makes me notice and appreciate what is going on in the garden. Would love for you to join in too. Very pretty. We just planted a healthy looking red butterfly bush. Cindy and I say that we are through planting for this summer. We’ve picked the worst times to be in the yard, and neither of us can take the heat. Had our landscapers finish the yard by planting some vinca(?) today. Thanks Judy! 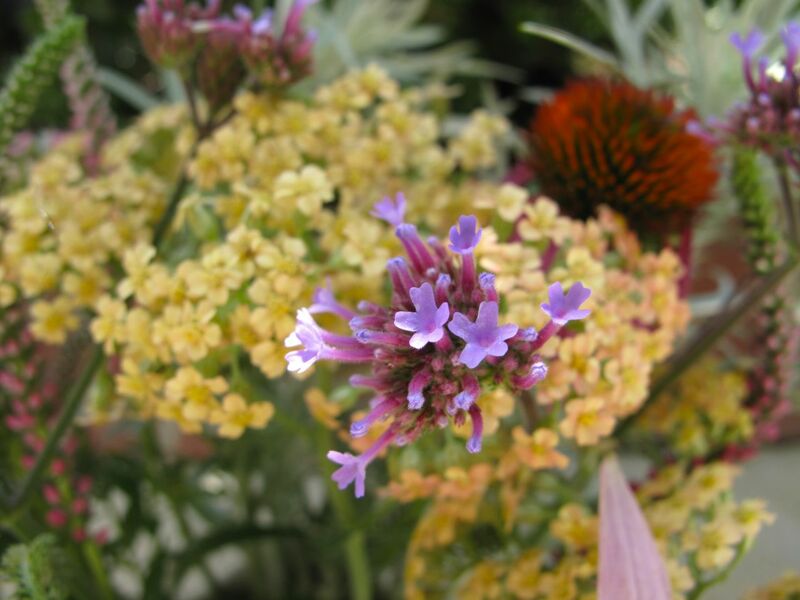 Bet the butterfly bush will be a nice addition to your yard. We sure could use some rain here. 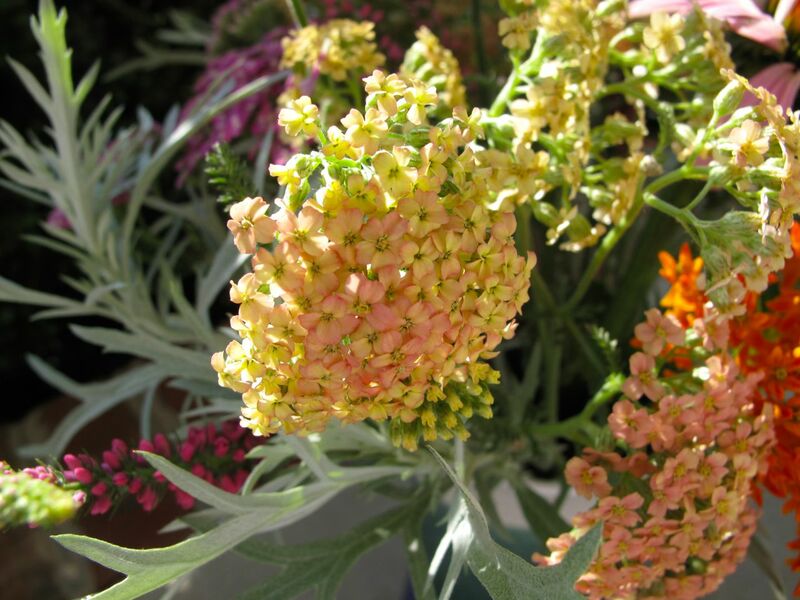 Kris, I didn’t recognize how closely the Achillea and Asclepias are structured until I photographed them. Thanks Cathy. Appleblossum achillea has done OK but I don’t have a good recommendation for growing it. Mine is fairly weak-stemmed and will blow over if we ever get a good rainstorm. I have read garden soils are too rich for it–maybe it needs poor soil. That is absolutely stunning. Such beautiful colour combinations. 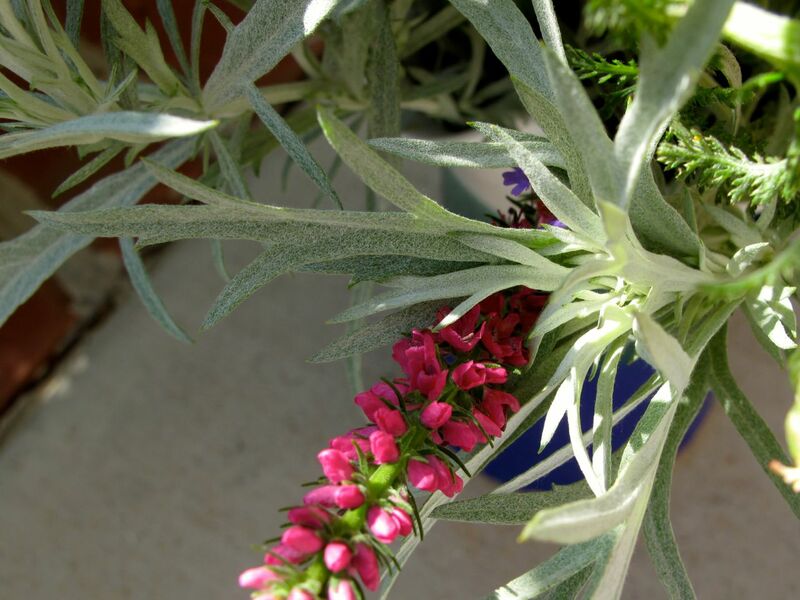 I do love Asclepias but we just can’t grow them here in the UK. Thank you Malc. 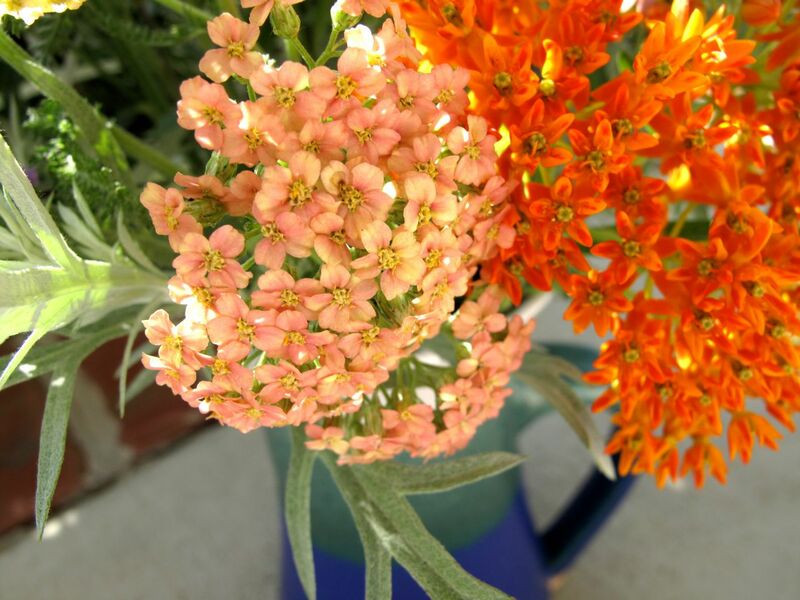 I have to keep replacing Asclepias every few years but I love the strong color and it helps the Monarch butterflies. I really like how you included the butterflyweed – I have never seen that as a cut flower before. Thanks! 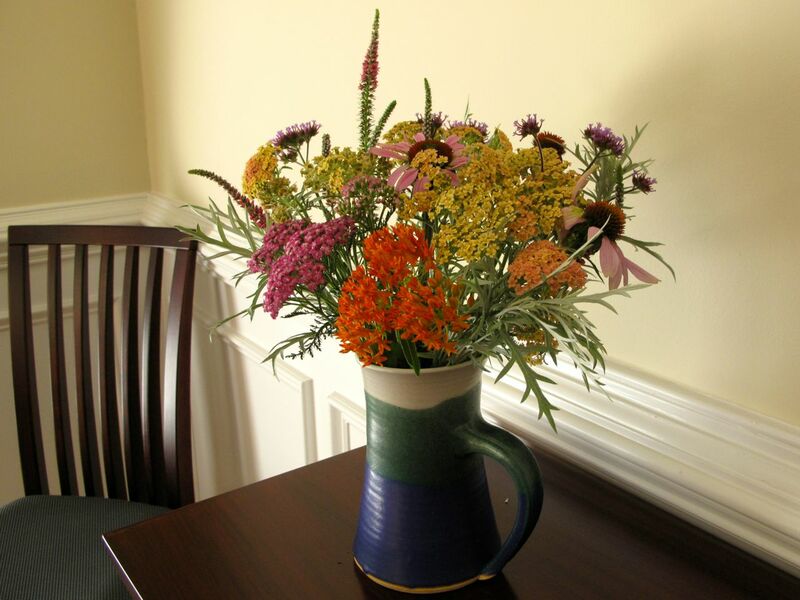 The asclepias seems to work well as a cut flower and I love the strong color.